Sometimes our history lessons come unexpectedly. The Baron & Hemingway is just such a lesson. One afternoon on the way to dinner, we took a little side trip to Castello di Roncade. 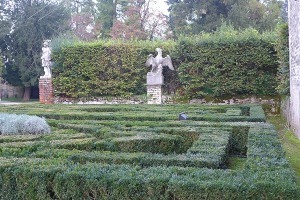 It is just 14 miles outside of Venice, easily reachable by car and possibly public bus. In 1930 Baron Tito Ciani Bassetti whose origins are from Trento found the property in disrepair and realized its potential for wines along with the magnificent villa. Renamed the Castello di Roncade (befitting a Baron) it remains even today in the Bassetti family and is presided over by the current Baron. Today it is an agritourismo (like a bed and breakfast), a winery (which it has been for generations) and part museum, complete with a moat. But let’s go back a few centuries, say 5. The castello was originally built for the Giustinian family as a country villa for this important family of Venice. In the history of Venice, there were two (2) Doges and St. Lawrence Giustinian, the first Patriarch of Venice. Even then it was a working vineyard as it has for the past 500 years. 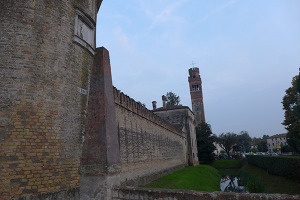 The walls, towers and the moat date from 1490. 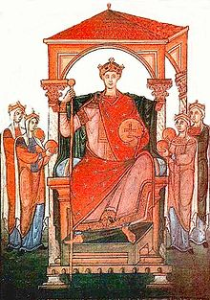 Or even further back, the castello sits on the ruins of a Tenth Century castle during the reign of Emperor Ottone II, Holy Roman Emperor, or “the Red” as he was known. (Picture from wikipedia). Doge Pietro IV of Venice was married to a relative of Ottone I. This convenient marrage granted Venice commercial arrangements which furthered their trade with the Western Empire. 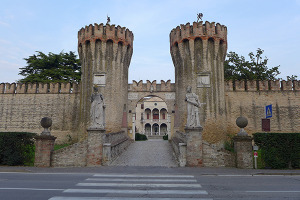 The Castle was designed for the Giustinian family by the same Venetian architect, Mauro Coducci, who built the clock tower in San Marco Square and was studied by the great architect Palladio. 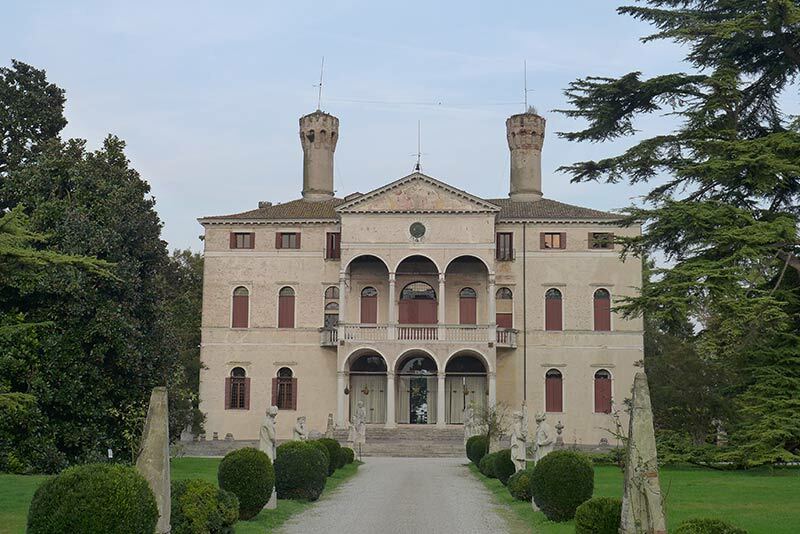 The family enjoyed their home for almost four centuries But by the end of the 1800s the last family members of the Giustinian dynasty lost interest and probably money to support the estate. The Villa, aka, Castello was converted into a hospital by the American Red Cross who also had hospitals at Bassano del Grappa, Fanzolo & Casale sul Sile. It was used as headquarters for the 13th Army Corps. However, due to logistics and preparations required, the first Americans to arrive in Italy and to see combat were not troops, but volunteers of the American Red Cross. These volunteers had signed-on for a six-month engagement as drivers and to cheer up the moral of those on the front lines as well as transport the wounded from the field hospitals to the rear. They were mostly university students and among them was the future very famous writer, the 19 year old Ernest Hemingway. 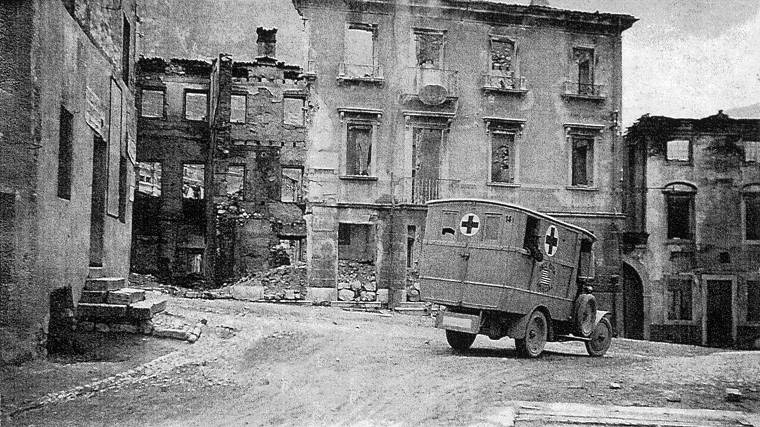 It was in the Veneto in 1918 when Hemingway was wounded by Austrian mortar fire while driving a mobile canteen serving chocolate and cigarettes to soldiers. Even though he was wounded he managed to carry a wounded Italian soldier to safety. (He was injured a second by machine-gun fire.) The Italian government awarded him the Silver Medal of Valor, one of the first Americans ever honored. Hemingway used his experiences in the war for several of his books. A Farewell to Arms, Across the River and Into the Trees, the unpublished “How Death Sought Out the Town Major of Roncade”. For the World War I history buff or Hemingway fan, this is well worth the trip and a great way to get a history lesson. 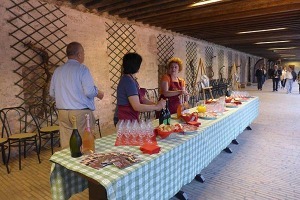 ← Could you be a Venetian?